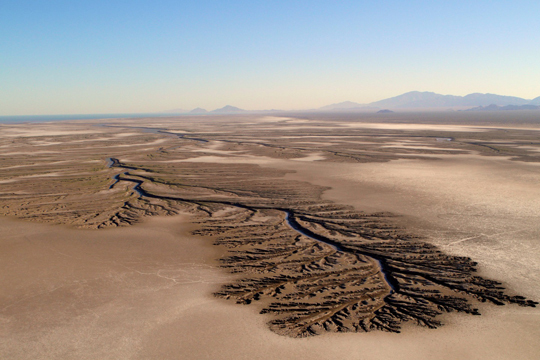 Since 1960 the Colorado River delta in Mexico has hardly received any water. Tens of thousands of indigenous fishermen have lost their livelihood. What remains is a barren wasteland. The 10% of Colorado water that Mexico receives from the US is used to supply Tijuana, Mexicali and a few other cities. The remainder irrigates an increasingly saline agricultural zone just north of the Delta.